It's that time of month again—yes, Google has updated the developer dashboard with new platform distribution numbers. 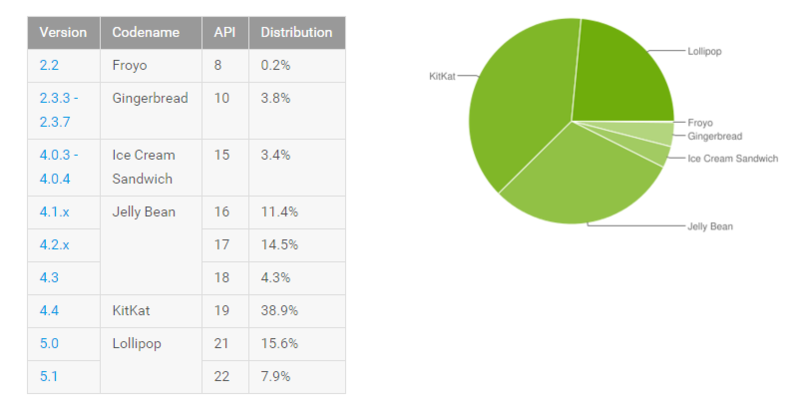 A surprising twist this month is that 5.0 variants of Android have gone down slightly. In fact, everything has gone down, with the notable exception of Android 5.1. That one is up almost 3%.